Since being founded in the year 2000, at the hands of Mr. C. C. Anthony, our founder, Sacred Heart School has dedicated itself to sharing and expanding the knowledge paradigm of its students. Innovation forms the basis of our school. 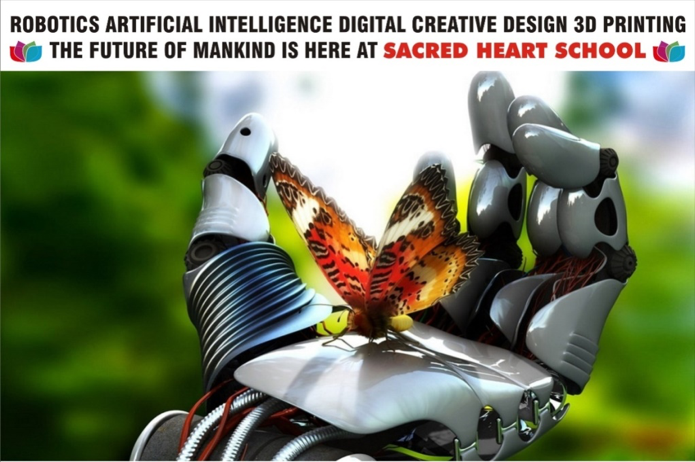 symbolizes the Philosophy and Vision of Sacred Heart School. While traditional schools tend to concentrate on forced reading and finishing up the portions, Sacred Heart follows a distinct philosophy that nurtures its students. Making education inter-disciplinary and holistic as children would be entering the world that itself is inter-disciplinary. Making education rigorous but neither too difficult to frustrate them nor too easy to make them disinterested. Teaching at a pace that suits the child and allows to learn in a more natural way. Using technology to support the real world learning and not replace the human relationships. Prepare them for future that’s coming and have sense of what they want and what will happen. Making children disruptive ready. Readying them to look for the problems and not just solving one. Personalised education – where the children can define their own experiences, satisfy their curiosity, learn in a way as a natural as possible. Creating an environment which is child centric and joyous. 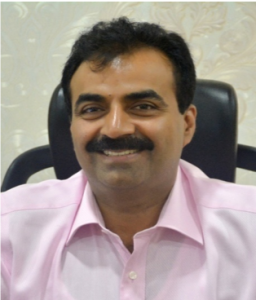 Mr. Albin Anthony has been a part of Sacred Heart School, since its inception. It’s through his astute vision and thirst for growth and providing the best for his students that Sacred Heart is where it is today. 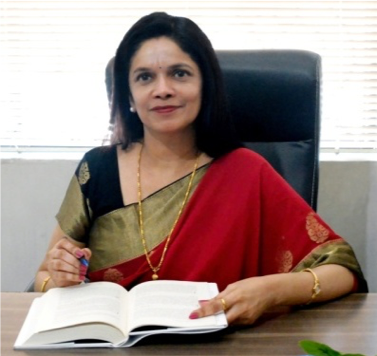 Mrs. Vinita Raj has been serving Sacred Heart School as the Principal for the past 6 years. Her keen eye for technology, her passion for the school and her razor-sharp management skills make our school, the much sought-after institution that it is today.